Microsoft Windows 7 Ultimate now also offers biometric authentication as standard. Using this new feature you can log in, or perhaps grant increased rights to users, with your fingerprint. Microsoft Windows 7 Ultimate now also operates a "whitelist" for system programs, for example, which need no further confirmation to execute. So Windows 7 Ultimate allows you to keep control of programs which may be critical. According to Microsoft, the features for all editions of Windows 7 are stored on the machine, regardless of which edition is in use. 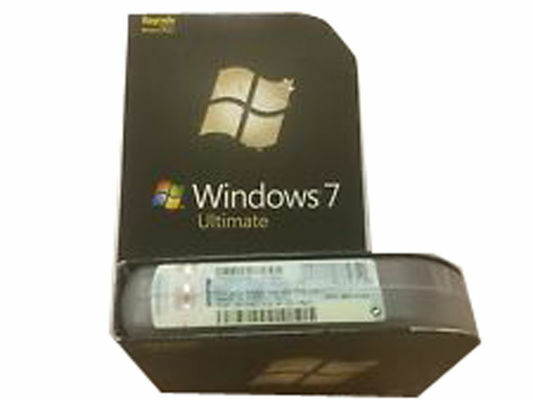 Users who wish to upgrade to an edition of Windows 7 with more features could use Windows Anytime Upgrade to purchase the upgrade and to unlock the features of those editions. Microsoft announced Windows 7 pricing information for some editions on June 25, 2009, and Windows Anytime Upgrade and Family Pack pricing on July 31, 2009.